I have had the Nikon D40 and the SB600 Speedlight for a few years now, and I have been very pleased with their performance. Nikon inadvertently struck gold with the D40, I say that because when it first came out it seemed as though they were playing catchup with Cannon who had already moved on with the new Digital Rebel. After all, the D40 only had a measly 6.1 MP sensor, how could it compete with Cannon's new Rebel which boasted 10.1 MP and 9 auto focus points (compared to the paltry 3 offered in the D40). Well it couldn't at it's initial offering price of $600, but a funny thing happened on the road to obsolescence to the D40. The price drop accompanying the inevitable selloff before new model introduction suddenly opened up a new market that had not yet been exploited. 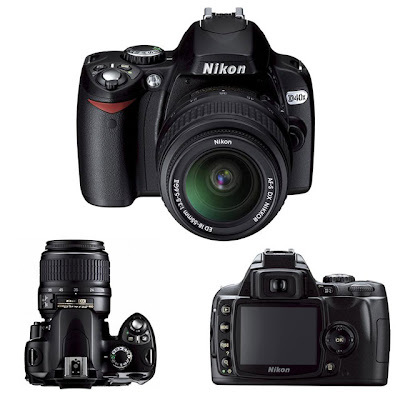 The d40 sold like hotcakes at around $450, being by far the least expensive DSLR on the market. Add the low price to growing recognition that the 6.1MP was all an amateur needed and that it outperformed similar sized 10MP camera's in low light, the d40 was also smaller lighter and more simple that the competition. Respected online reviews praised the performance/price ratio and, long story short, it is still on sale now, 4 years later (an eternity in consumer electronics). In many ways, the d40 is the digital equivalent of the Pentax K100 - a simple, cheap, reliable and high quality camera. There are a few things I could gripe about, I find Nikon's menu's and controls a bit cumbersome (the buttons on the grip are a bit cramped for me), but overall I am very happy. As good as it is, the adding the SB600 speedlight to the D40 is the best money I ever spent. It's not cheap, but the SB600's performance is astounding to me. In auto mode it does a fabulous job of daytime fill flash, and in low light it really reaches out much farther than you would think. 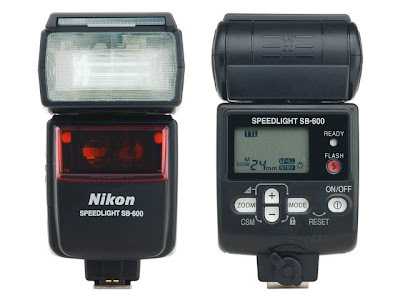 Nikons i-TTL flash system is very sophisticated and works miracles compared to the pre-digital flashes I had used in the past. The fill flash performance alone is worth the money, and I highly recommend the SB600 over the cheaper alternatives. WBCN 104.1 The Rock of Boston is going off the air. What a bummer, while it is true that the station jumped the shark when Charles left and they started airing Stern and catering to frat boys, but still, it's the end of an era. I listened to BCN for years, had their sticker on my car in H.S. I have fond memories of the Cosmic Muffin, The Big Mattress, Patrick's traffic report with "Grossmans Gulch" , The "Spring Time for Boston on BCN - Boiiing" and my all time favorite "Tank Phillipi Ryan", and of course winning a few concert ticket's and being exposed to great music in the 70's and 80's. In the 70's when I was a kid, I mowed a few lawns for spending money, rather than ruin the family riding mower, my Dad would take me to the local Lawnmower Shop where we could rent one of these Bob Cat push mowers. These mowers were practically indestructible, with a cast aluminum deck, steel wheels with bearings and B&S commercial motors. Everything was bomb proof on these units, even the grass catcher was simple and had a rugged steel frame. More... If you look closely you can see that the wheels had no height adjustment lever and had to be set with with a wrench. That last bit always struck me as unnecessarily and conspicuously milspec rugged, but whatever, it was simple. These mowers were very popular with the pro landscaping set for a long time and then they disappeared. 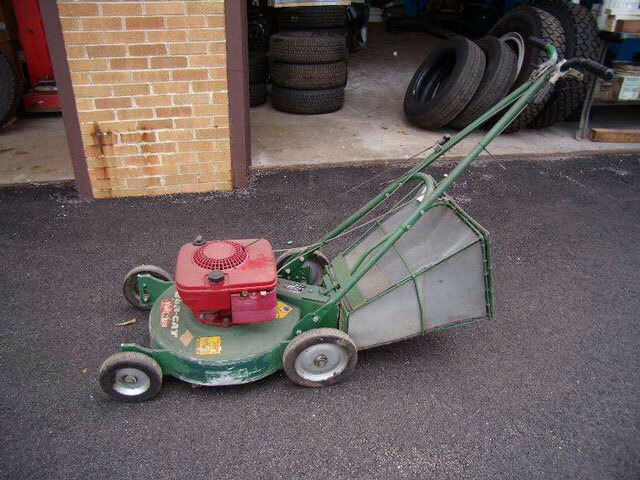 Near as I can tell, this type/model of mower was originally put out by the Sensation company, and enjoyed considerable popularity and loyalty for many years. I am not sure if it came to Bob Cat by merger or license, but I guess Sensation changed hands a few times and was ultimately swallowed up by Lawn Boy (Started by Evinrude Outboards), which then got eaten by Toro (which had previously gobbled up Wheel Horse Tractors - a Division of AMC, yes, that AMC). So somewhere in this cluster#%$ of mergers, somebody killed this model. I wish they hadn't the world could use a simple durable mower. 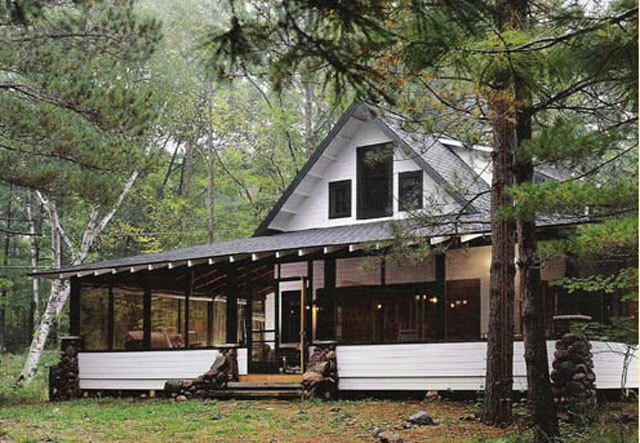 I really like the design of this Cottage/Cabin and I think Mr. Mulfinger absolutely nailed the look and feel of a turn of the century Craftsman/Victorian summer vacation cabin without adding to many modern gewgaws which would spoil it. You can purchase study and construction plans and look at the interior photos, elevations and floor plans at the link below. This is one of those designs that is truly timeless, designed in 1900 by Charles Rennie Mackintosh for the Ingram St. Tea Room in Glasgow, but still very contemporary. The Ingram chair is somewhat similar to some of the dining chairs designed by F.L. 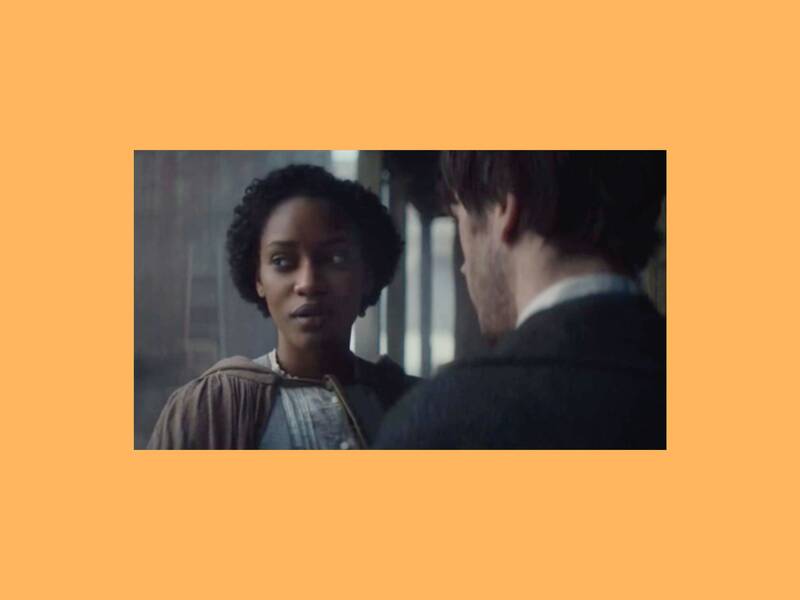 Wright and G. Stickley around the same time, but not as "edgy" as Wright's and less conservative than the typical Stickley. The result I think is a chair that is able to mix it up with furniture from other styles and periods without looking out of place. A Stickley, though beautiful, looks like an "old" chair, and Wright's just look "different" from everything else. With the Ingram, I think Mackintosh got it just right.